Two weeks ago, the Republicans held their party convention. Last week, the Democrats held theirs. Maybe this week should be our turn. If you’re a news and political junkie like me, chances are you were probably following the both conventions like a comic book fan follows Comic-Con -- except instead of jumping with joy over the new Justice League trailer, you probably watched the convention speakers with a mixture of anger, sadness and contempt. It’s very easy to put politicians and candidates on a pedestal they have no business being on. We either put all our hopes and dreams in them (or their plans) or we treat them like the harbinger of the apocalypse. But there is a truth many of us forget about, myself included, in the midst of an election year, the 24-hour news cycle and an increasingly hyper-politicized culture: The President of the United States cannot fix your life or mine. Donald Trump is not going to wave a magic wand and deliver a job to your doorstep. Hillary Clinton is not going to come over to your house and help pay your tuition bills. Look, don’t get me wrong: politics are important. Presidential elections are important. We should care. We should be informed. We should be engaged. And we should be able to discuss the political issues that face our communities and our nation with friends and family members without it devolving into a fistfight. You can vote for whoever you want, or vote for nobody at all. But after the elections are over, you are still responsible for your own life -- regardless of who wins. 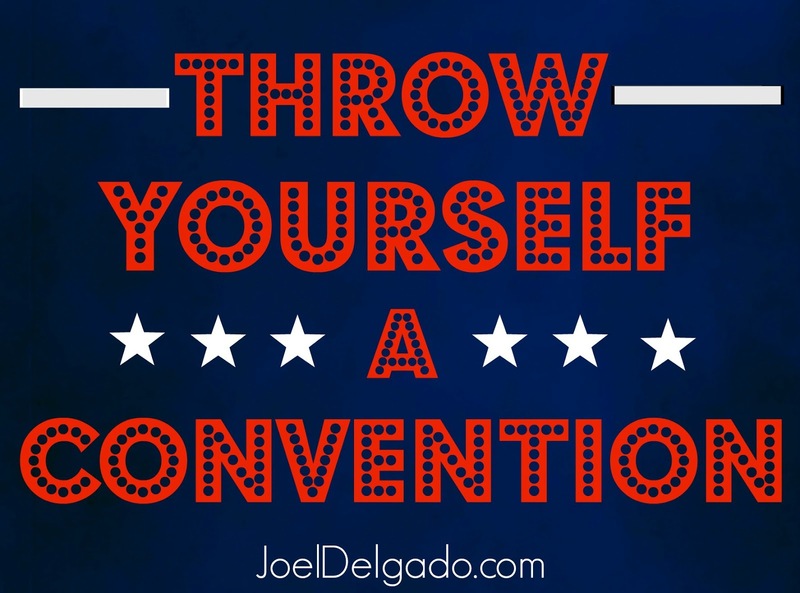 A couple of weeks ago on his radio show, Dave Ramsey said people should buy some red, white and blue streamers and confetti and throw themselves a convention in their living room. It’s actually a good idea. If you’re looking to experience real hope and change for our own lives, we have a better chance of finding both in own living rooms instead of in Cleveland or Philadelphia. So what would a “John/Jane Smith Personal Convention” look like? 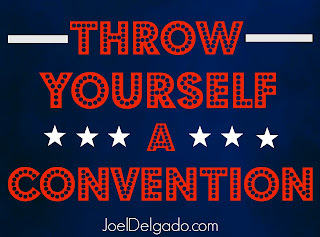 We can look to the actual party conventions to get an idea. These are the two main functions of party conventions that can help us guide our own: 1) they nominate the person who will be the standard bearer for their party and 2) they decide on what will be in their party’s platform (the set of goals that will guide them moving forward). Who will be the leader of your life? In a contest between myself and God for control of my own life, it’s no contest at all. There is no one else I would rather put my trust in than God. No one else comes close. Whenever I choose to run the show for myself, I find a way to mess it up. Whenever I put my too much hope in someone else, I end up disappointed. And when my hope is in Jesus, I don’t have to stress over who is in the White House. I’d rather humble myself and follow Jesus’ lead in everything instead of trying to do it all on my own. We let him chart the course, and then we take our steps in faith. What will be your personal platform? What are your own personal goals and objectives? A career change. Repairing your relationship with God. Finishing your degree. Saving for a future home. We all have to choose what our priorities and goals will be and set a game plan for accomplishing them. No politician is going to do that for you or your household. Don’t just build your platform on your own. Spend some time seeking God and asking those close to you to determine what will go into your own personal platform. This is a great place organize an event; they have great staff and great events put on here! I had nothing but great times and great conversations at venue New York here. They served slider and shrimp cakes as appetizers with chicken skewers, and eggrolls that had veggies on the inside and some kind of creamy fruit sauce on top.